Serious about Diving? A Good Watch is Essential! How often have you bought a watch only to find them dead after your dive expedition trip? I have experienced it a few times. But the best dive watch that I have has survived not one but more than a couple of times I’ve brought it for my diving adventure. To start with, let me try to give you some ideas on why many dive watches fail when you take them for your diving adventure. Many people thinks that if a watch is water resistant, they have the license to wear it for their scuba diving adventure. This is a false assumption. This is one of the few key reasons why many people find their watches dead when they are diving halfway through. The next time you see the water resistant label on a watch, bear in mind that there are 2 standards often used by watch manufacturers. ISO2281 is most commonly used but this standard is only designed for ordinary or non-diving use. 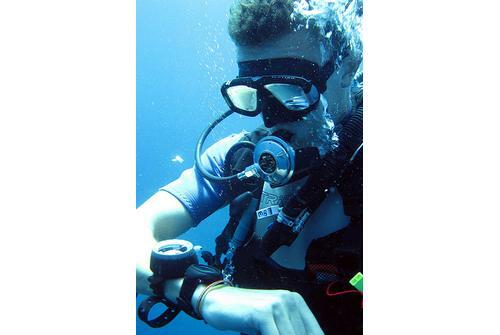 You can take an ISO2281 water-resistant watch for such light exercises as swimming but not for scuba diving. The best dive watches will have to be ISO6425 certified. Compared to ISO2281, ISO6425 involves more rigorous testing. It includes prolonged submersion underwater, condensation test and watch resistance against external shock. In summary, ISO6425 testing simulates the strenous condition that a dive watch will undergo when you take it for your scuba diving adventure. With so many watches claming to be ‘diver’ watches, the choices can be overwhelming. Fret not, I’m here to help you. To my friends, I’m known as a tough watch addict plus a diving enthusiast. Naturally, my diving buddies always come to me seeking recommendation for the best dive watches. I gave my recommendation to more than half a dozen of people. That’s when I thought it would save me all the trouble if I had the list that everyone can access. That was how I came up with this recommendation list. But the big question is ‘How much is enough to afford the best dive watches?’ My answer is $500. Can $500 Really Afford You the Best Dive Watches? Many dive watches cost thousands of dollars. It is only natural that you doubt if $500 can afford you a decent dive watch. If you are filthy rich and ready to spend few thousands bucks for your dive watch, this list is not appropriate for you. Check out the ultimate dream dive watches instead. But does that mean $500 leave you with no option? You’re wrong! Even if you have your PADI Open Water certificates, what is the maximum dive depth you’ve ever attempted? 30 meters max? Among the best watches under $500, you can easily find dive watches that can survive up to 100 meters. This should give you a peace of mind. The next time you head yourself to Barracuda Point, you can rest assure that watches found in this list will survive with you. Are you ready for the thriller? Let me first introduce the contenders before naming out the winner. It’s a really tough job to pick the winner. Look at the contenders for this price-class category and you’ll know why. In no particular order, my list of candidates for the best dive watch includes the following. There is the Citizen Promaster, Luminox Dive Chrono 8150, Victorinox Dive Master 500, Tissot Seastar 1000 and Hamilton Scuba Auto. This line-up tells you that you should get yourself ready for a really tough battle! It doesn’t take a genius to figure out what a hell of a tough fight this is going to be. After weeks of gruelling, researching and checking satisfaction level among owners, the fight narrowed down to 2. My 2 survivors are the Victorinox Dive Master 500 and Citizen Promaster Depth Master Chronograph. It was a closely fought battle, I can tell you. Let’s see how they match up. Considering that Omega Seastar worn by James Bond costs $3.500 and Rolex Oyster Submarine costs $10,000+, can $500 get you a good dive watch? The answer is YES! To typical divers, the best $500 dive watch is technically no different to those expensive models. What do I mean by that? It means that the best dive watch that cost you $500 is good enough to survive the deepest depth of 95% of professional divers. But I would advise against buying a watch that falls below this price range. Why? Because I’ve experienced it myself! I once made a wrong choice. In the end, not only did I have to fork out more to get a replacement but it totally ruined my whole dive expedition trip! There are dozens of things to take into consideration but I can’t possibly include every one of them. Here are 7 that weighed most heavily when I had to pick between Victorinox Dive Master 500 and Citizen Promaster. Can you take it for a Dive? It’s diving watches that we’re talking about. But don’t let yourself be fooled by the numbers! Maybe I’m stupid. But I fell into the watch manufacturers’ tricks few times before. Be sure to check the manual. A watch may be specified as water-resistant to a depth of 200m (660 ft). But it is not the same as saying you can take the watch for your scuba diving adventure. Some watch (even when they’re specified as 200m) are suitable only for swimming or ‘skin diving’ and they are not recommended for scuba diving with air tank. For the case of Victorinox Dive Master and Citizen Promaster, you can be assured that both are designed for more than just shallow diving. 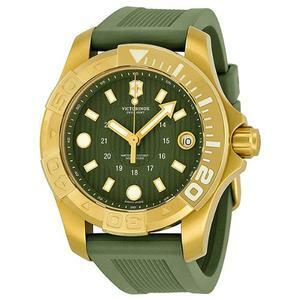 However, you can take the Victorinox watch to as deep as 500m and it will still survive. 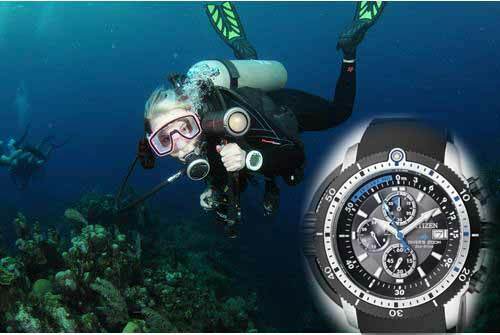 For Citizen Promaster, 200m is the deepest you can bring it to. Go deeper and it’s at your own risk. 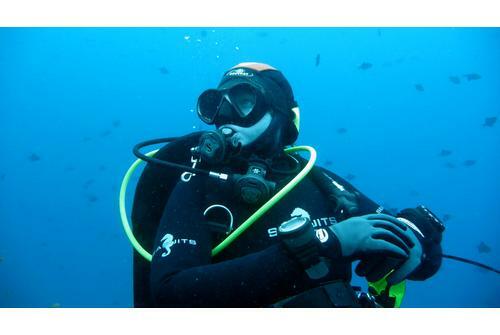 Even PADI Open Water-certified diver will go to a maximum of 30m. Unless you are trying to break Ahmed Gabr’ Guiness World of Record of 332.35, either watch should be good. 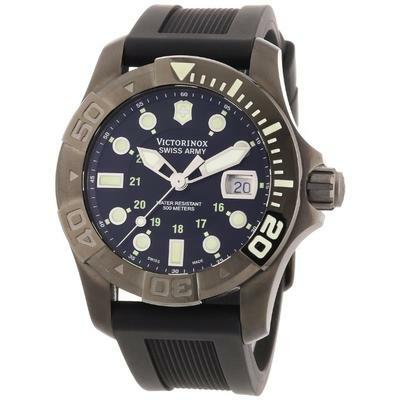 Also note that the Citizen is not suitable for serious deep water or saturation diving while Victorinox is. If you’ve never heard about ‘saturation diving’, then you can probably ignore this fact. This is more relevant to those who has to spend long time under the water as part of their jobs. If you are one of them, Victorinox is more suitable. I go for diving trip at least twice a year. I know how important it is to have access to certain basic information. It is always good to have an idea how far deep down you’ve gone under. 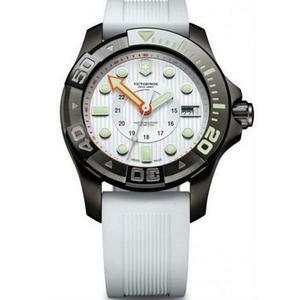 Citizen Promaster is able to provide you with such information but not Victorinox Dive Master. I personally love the depth gauge feature that comes with the Promaster. And how I wish the capability does not stop there. A timer feature would be good but it is something that both Promaster and Dive Master lacks. Battery is one aspect where the Victorinox and Citizen stands pole apart. Both are battery-operated. However, Promaster’s battery is rechargeable but not the Dive Master. The need to replace your battery can be a real pain. One time before heading to the airport, I picked up one of my watches only to find it had stopped working. I had no choice then but to leave it at home. Citizen Promaster’s solar rechargeable battery is a genius. I’d never run into such issue with all my tough watches running on rechargeable batteries. The best part about the Promaster is the battery indicator. It tells you how long your battery can last before you need to charge it again. But take note that the depth gauge feature drains out your battery. Make sure you check out the manual to see what to expect of the battery level indicator. If you seriously plan to bring your watch for frequent diving trips, scratch-resistance is one important consideration to make. With the air tank behind your back and the need to jump in and out of the boat, your dive watch will suffer few bumps and bruises few times at least. I’d definitely expect my watch to hold up well against such torture. 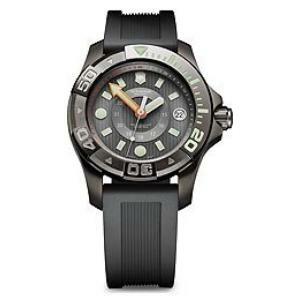 Victorinox Dive Master’s use of sapphire crystal is a winner compared to the mineral crystal used in the Citizen Promaster. There is really nothing much to say except both are sufficiently great. The luminous hands on both the Promaster and Dive Master may not be as bright as the Seiko lumibrite, but they are bright enough to let you tell time even in murky waters. Aha… We do want our watches to last forever, don’t we? I certainly do. But what can you expect of the Victorinox and Citizen? Victorinox offers a 3-year warranty period. 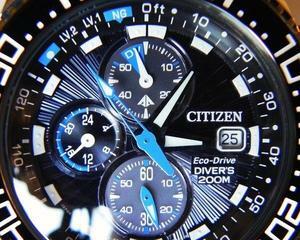 Citizen offers a 5-year warranty period. Maybe it’s just who’s purely unlucky. But of the dozens of watches that I’ve purchased, I had to file for warranty for nearly half of them. That’s why for me, warranty duration is something that I take very seriously. First, it tells me how confident the manufacturers are of their products. Second, being covered by warranty lets me have a peace of mind. With Citizen Promaster, it’ll be another 5 years before I had to fork out another $500 investment. That’s in the worst case. Assuming that your Citizen Promaster fails just after the warranty period expires. Which will earn you more Compliments? After spending my hard-earned $500, I definitely want my watch to make me look good. Not only will it make me look good when I drone in my diving suit but also when I’m on my casual t-shirts and jeans. Don’t get me wrong. I’m not an ego-maniac guy. I’m not hungry for compliments. But compliment is something that I take as a confirmation of my, well, good taste. This is the case for the Citizen Promaster. I’m not saying the Victorinox is unattractive. It’s just that I had been receiving way more compliments about the Promaster than the Dive Master. Believe it or not. I own a Tag Heuer Aquaracer and it has not earned me as many compliments as the Citizen Promaster had. 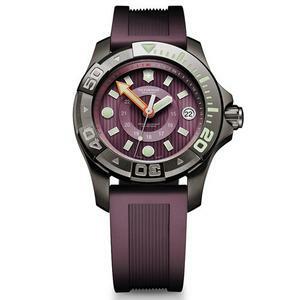 But to be fair, Victorinox Dive Master comes with a number of options to choose from. Maybe it is due to my poor taste. Mine is the black with rubber strap option. I’ve not attracted much eyeballs with that. That’s it. You’ve spent thousands of your precious bucks and tens of precious hours on your PADI certification courses. It is time to reward yourself. Don’t skimp when it comes to the best dive watch. On every dive occasion, I know I have to rely a lot on my dive watch. It tells me how long I’ve been under water. It tells me how deep I’ve gone. It tells me if my time is up and I need to start my ascend. My dive watch is my most reliable assistant. It cannot fail or it might put my life at risk. It is really heartbreaking to have your watch stopped working during your dive expedition adventure. Citizen Promaster and Victorinox Dive Master 500 are 2 of the best dive watches any diver could ask for. If you are like some of my buddies who want me to suggest a pick between the two, my recommendation is to go for the Citizen Promaster Depth Meter Chronograph (BJ2115-07E). In Citizen Promaster, you have a tough watch that requires almost zero maintenance. It will not fail. It will not disappoint. That you can rest assured. 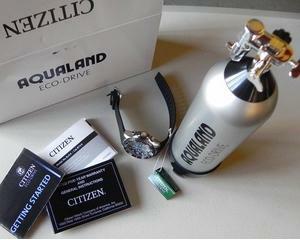 A Fine Collection of the Finest Watches for Dive Professionals Citizen BN0000-04H: An Elegant Men’s Dive Watch? Alpina Diver 300: Probably the Best Dive Watch Companion for Ladies How Good is ArmourLite ISOBrite T100 as a Dive Watch? Hey, thanks for such a detailed review. I recently got engaged and i have been thinking of getting him a nice present. 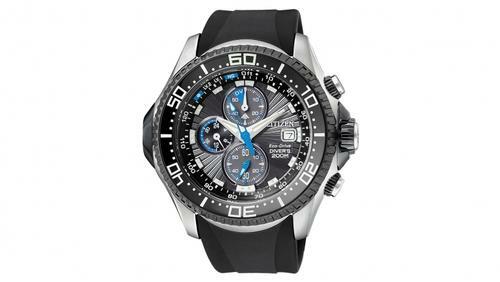 I am thinking of getting him a dive watch since he is into scuba diving. I want to make sure i gift him something top-notch with great looks and functionality. Citizen’s Promaster seems like a decent watch. The only issue is the rubber strap. I want to go with a steel strap, i think that looks more professional and elegant. How would you rate the Tag Heuer aquaracer line? I like those watches looks-wise but not sure about the functionality. Could you suggest a good one from Tag Heuer please? My budget is $800 at max. I read you own a Tag Heuer too. 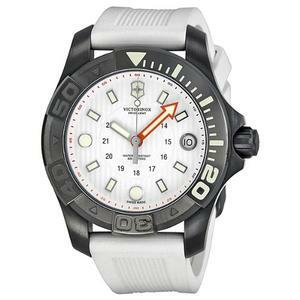 I am sure you can draw an accurate comparison between Tag Heuer aquaracer and citizen promaster. Please help me decide on one, i am totally confused. Thanks.